Great commercial hard corner with high traffic counts. There is a future half-diamond interchange planned at Citrus Avenue & Interstate 10. The property is visible from the I-10 and is located less than one mile from Loop 303. 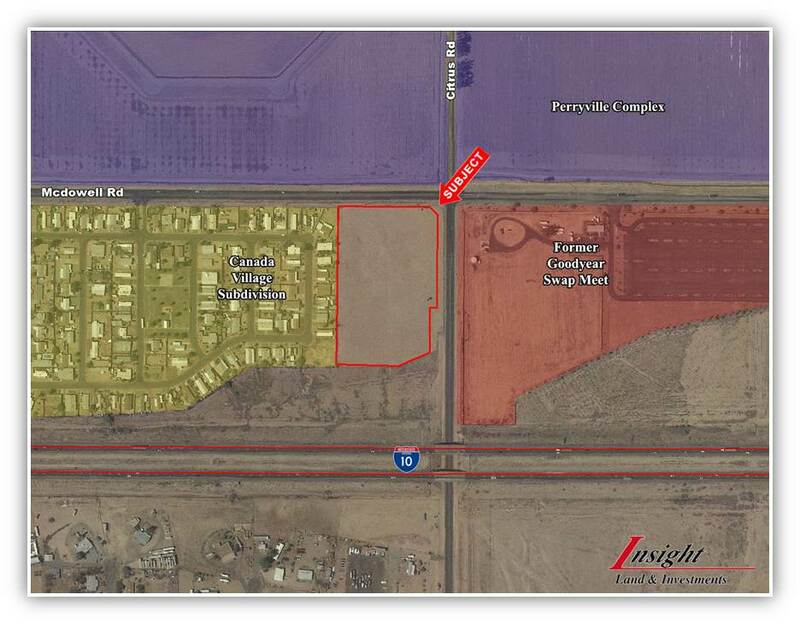 The property is near the planned Estrella Falls Mall & Power Center and Goodyear City Center. The property is also near Goodyear Ballpark & Recreational Complex, home of the Cleveland Indians & Cincinnati Reds Spring Training Facility.